No matter what your celebration, share the joy by the plateful with dream desserts and puddings your whole party will enjoy. From bite-sized desserts to show-stopping cakes, sweet treats are the favourite part to anyone’s buffet or refreshment table. If you’re all about building unique flavours or want designs that’ll dazzle, you’ll be able to find a dessert to suit all styles. 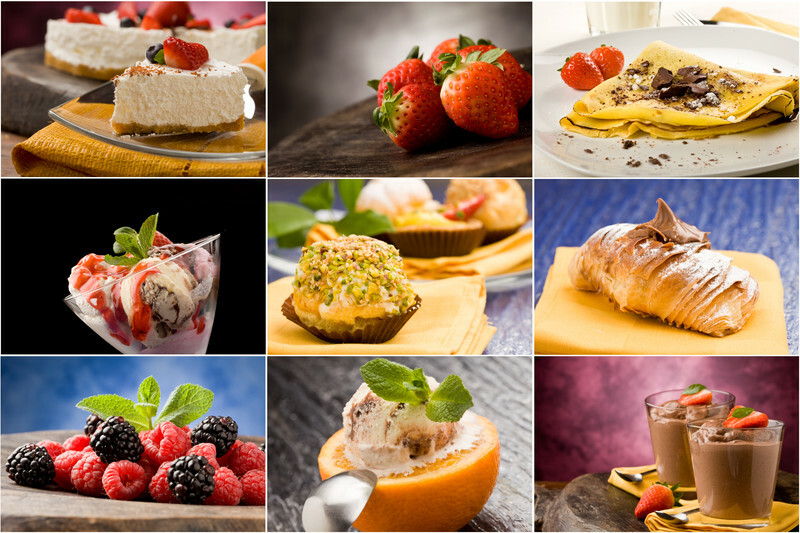 If you want to purchase food or you're up for the challenge of making a dessert yourself, there are plenty of sweet options out there. With so much to choose from, including cakes, puddings and ice cream, I've found five of the dream desserts you can consider for your next celebration. Present something spectacular for your next celebration. The perfect gift and one that the whole party can enjoy, the impressive cake offerings from Anges De Sucre will leave a lasting impression. Three levels of sponge trimmed with creamy icing flowers take the typical cake decorations to a whole new level. Delicious is an understatement as the original designs, vibrant colours and homely flavours will be the crowning jewel to your table. Impress your guests with delicious treats that are more like a fashion statement than a dessert. Modern, edgy and architecturally perfect, choose ice lollies that blend innovative flavours such as Matcha, mango and rosemary. These are great for an afternoon party, outdoors in the sunshine with a BBQ and beanbags. Ultra-cool, these lollies won’t look out of place on anyone’s Instagram account. A great way to get everyone involved is to host an ice cream sundae station. You’re able to keep this unique to you and your party. Allow your guests to help themselves to their own ice cream concoction. From strawberry, chocolate, cookie dough or rocky road; choose your favourite ice cream flavours. Add a selection of toppings such as fruit, sprinkles, nuts and biscuits. This fun idea will keep the kids and the big kids happy too. Tangy lemon meringue, refreshing key lime and warming chocolate walnut; who doesn’t love a homemade pie? With rustic buttery pastry, oozing tart filling running over the edge of the crust and a crowded room all queuing for a slice, it’s a real favourite. An age-old tradition for some families, a homemade pie is something to dream about. With great heirloom recipes, a sweet, pastry covered pie or crumble is the perfect treat to accompany a family celebration. Piled high in a shot glass, rich puddings, crumbly biscuits and fruity smoothies all topped with whipped cream to decorate. Bright colourful patterns all carefully layered to follow a party’s uniformed colour theme or design. These are a great option if you’ve got a lot of guests to bake for as they’re small and concealed in their own container. With so many sweet flavours and designs available, there’s plenty to choose from that’ll compliment whatever you next party may be. There you have it - just five dream desserts to tuck into that both you and your guests will enjoy.